These two-story red brick and wood beamed apartments were built directly across from the ritzy Phoenix Country Club to demonstrate options for affordable living. 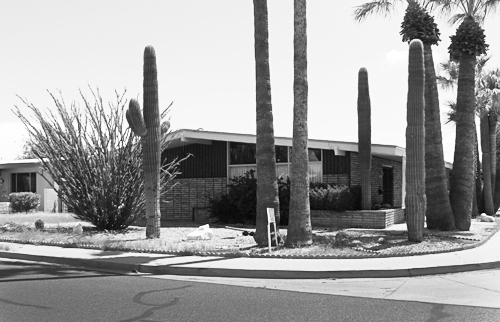 It was featured as notable FHA Housing in Progressive Architecture with photographs taken by Julius Shulman, staging the complex as resort-style living in the Southwest. Most notable is the use of square voids in walls of block to let in light and air, but provide much needed shade. This complex narrowly missed demolition during the housing bubble of the mid 2000s. The surrounding neighborhood fought the zoning ordinance; while the ordinance was ultimately approved, the development plans were dropped and the apartments significantly improved with a fresh coat of paint and upgraded landscaping instead. 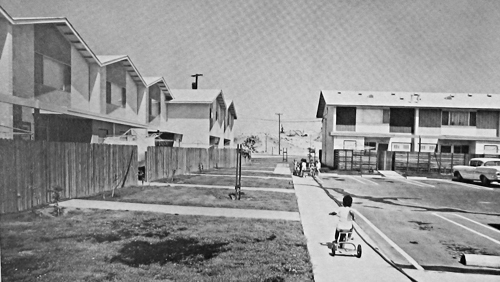 During and after the postwar housing boom Ralph Haver's firm pursued many multifamily housing contracts, starting with apartment complexes then evolving into townhomes and condominiums as the market demanded. They are responsible partly for the light Mediterranean look that spread through the Valley after 1965. 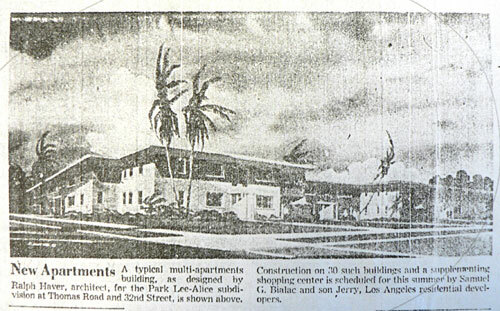 At the Hermosa complexes Haver, Nunn and Jensen marketed a Spanish style with tasteful refinement. 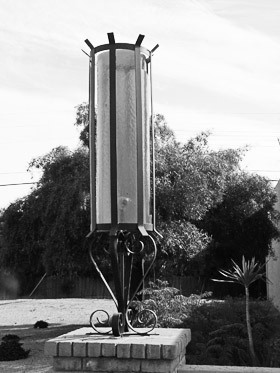 The grand orange lanterns positioned at streetside were used in several Haver-designed complexes Valleywide, and today serve as a beacon for identifying other properties of Haver provenance. There are simply too many complexes to list here, but the Hermosa townhomes are a fair representation of the European flavor that became popular in the late 60s and early 70s. 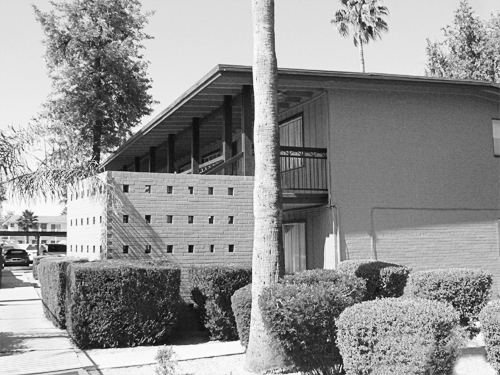 In the early 1960s Ralph Haver and his peers needed to adapt to the new housing climate in Phoenix. He found another great partner in Dell Trailor, who produced many comdomimium subdivisions across Arizona including Golden Keys, Sutton Place and Beekman Place. 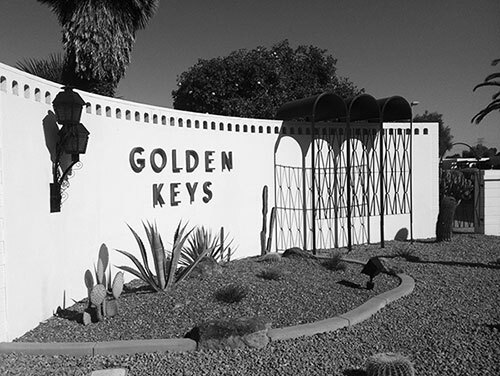 Haver's portfolios indicate work on Golden Keys 1 in 1964, which we presume to be the Golden Keys in Scottsdale. The attached homes are characterized by a clean and modern sensibility with Greek and Italian overtones, especially in the aqueduct and collonade motifs. The community is currently considering the offer for initiating historic preservation overaly by the City of Scottsdale.